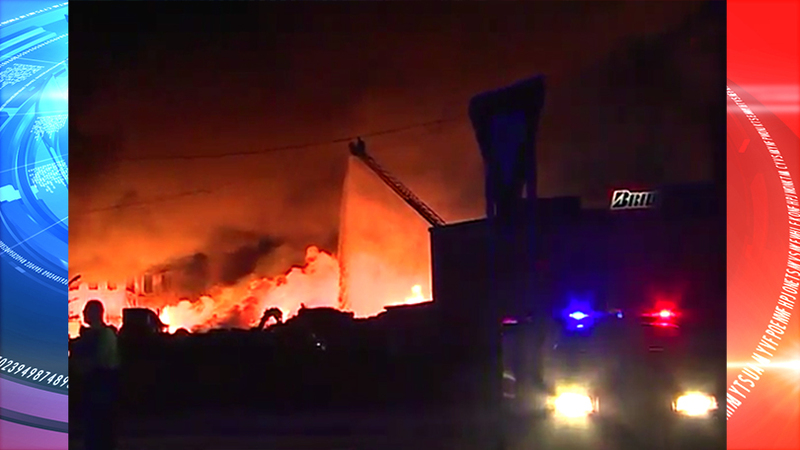 Fort Smith, AR – News Crews were sent to the scene of a structure fire along Highway 271 next to I-540 in Fort Smith Sunday night, and remained on the scene into Monday morning. The fire is at the Smurfit Recycling Building on Highway 271. Cardboard and paper bails burned for several hours overnight. Crews from five different departments were working on hot spots inside the building Monday morning. Highway 271 between Cavanaugh and I-540 have been closed. No cause has yet been determined, and there are no reports of injuries.